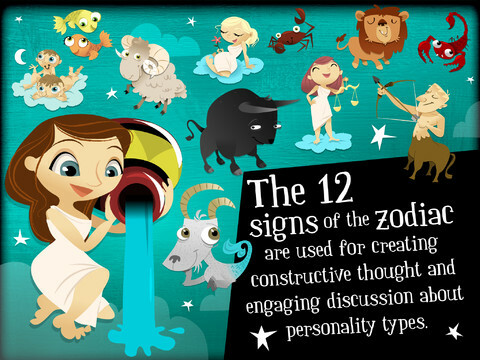 Astroloquiz provides a fun learning experience based around the 12 signs of the zodiac. Over 90 definitions of personalities are presented in a way that young learners and old alike can easily understand the meaning of personality adjectives. 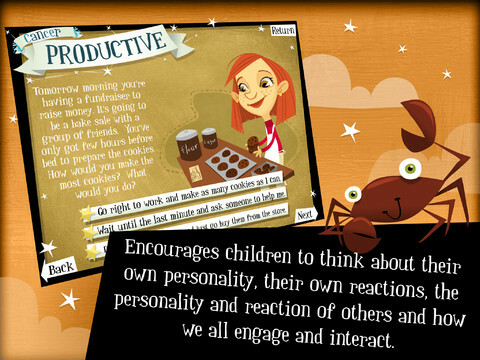 Young learners will be intrigued by how their friends will react to the 48 separate scenarios presented in this book. It is a springboard for discussion about how we all react differently to the situations we face every day. Having infinite replay value, the quiz itself takes about 30 minutes to complete. 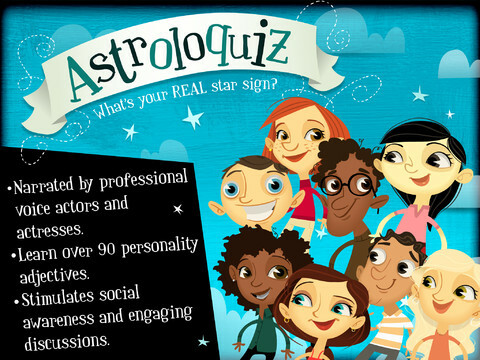 If you are curious about how your own personality relates to your personality then take the Astroloquiz! Astroloquiz- Star Signs: shows each star sign and their respective positive and negative characteristics. 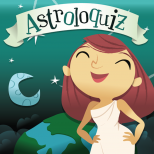 Astroloquiz- Definitions & Discussion: there are also more than 20 though provoking discussion questions and a glossary of over 90 definitions with touch activated narration by professional actors and actresses. There is no doubt that the educational elements are very strong. Astroloquiz presents all this in the right fashion virtually guaranteeing a great learning experience for children at home or in school! 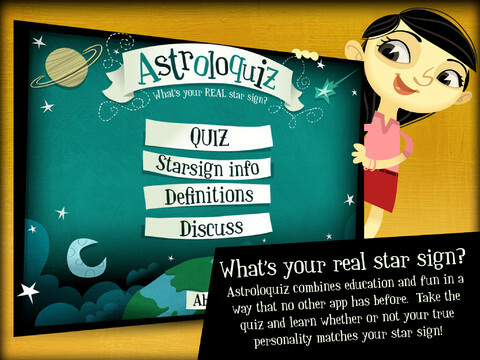 Astroloquiz qualifies for Apple’s VPP education discount for schools in K-12. Please contact Together Learning Media, Inc. for ideas on how to use this exciting and innovative application in your classroom. Created by a teacher to promote learning! Astroloquiz! What’s your real star sign? You Tube: Together Learning Media Inc.